Randy Miller dropped a report on Wednesday, detailing that the Giants have rejoined the sweepstakes for the still unsigned Bryce Harper. Shortly after, Jon Heyman of MLB Network reported that the Giants met with Harper this week, with Alex Pavlovic of NBC Sports specifying that Bruce Bochy, Farhan Zaidi, and Larry Baer were in the meeting. Heyman joined Gary & Larry on Wednesday morning, and said that he believes the Giants are very much players in the Harper sweepstakes. 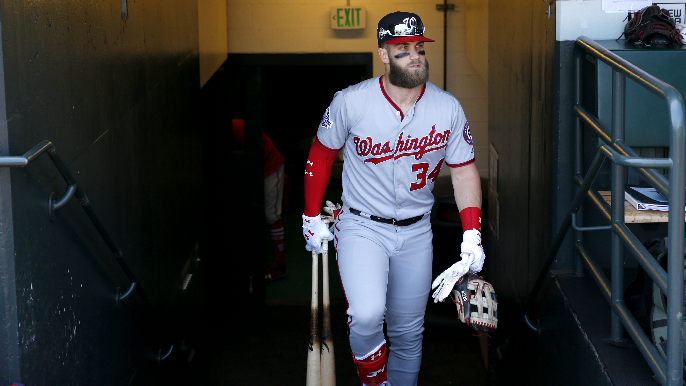 Should Giants fans be seriously excited about Harper coming to the Bay?